In order to create the most dynamic and effective learning environment our faculty are working industry professionals who are also experienced teachers. This unique combination ensures the best, most up to the minute information and tools delivered in a way that appeals to all learners. 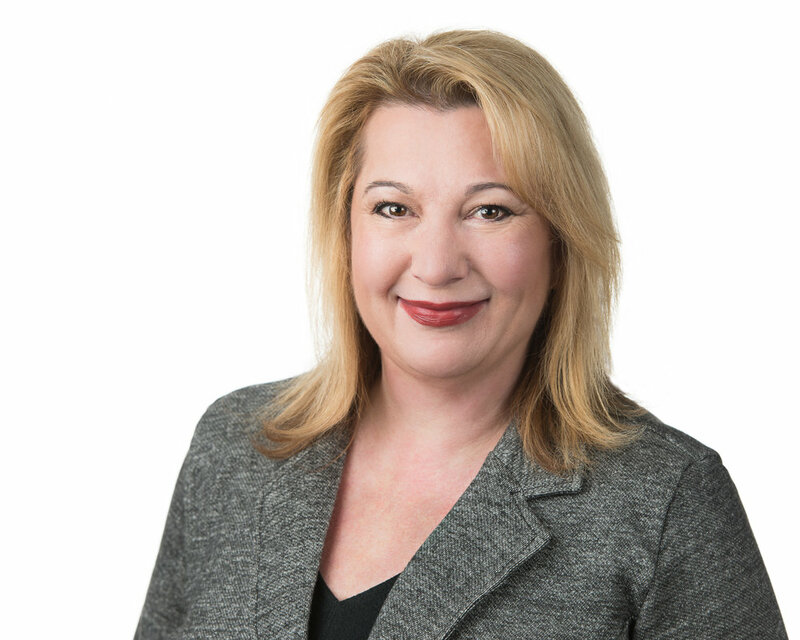 From sales to comedy and from theatre to corporate training, Rachel Bellack has learned a lot about people. Her job is to ask “what do you want?” and she’ll do what it takes to help you get it. Her desire to help people to discover their strengths and achieve their greatest potential is what drives her; she’s passionate about assisting others to live the life of their dreams. Rachel is a native of Canada where she received her Bachelor of Arts and MBA degrees. Her love of acting started with books and performing Shakespeare and grew to encompass commercials, television and independent film. It was when she filled in for a cast member at Tony and Tina’s Wedding that she discovered her love of improv and the journey began. After moving to the USA she graduated from the Second City Conservatory and became an instructor at the Second City Detroit Training Center and in the Performing Arts Department of Oakland Community College. 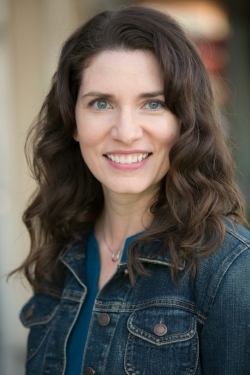 Rachel is currently the Executive Director and a lead instructor at Michigan Actors Studio, Producer at Comedysportz Detroit and Leadership Coach/Facilitator at The Improv Advantage as well as a credentialed member of the International Coach Federation. She serves as a Mentor Coach and is a professional public speaker. In addition to being a certified coach, she is a licensed trainer of NLP, trained by Dr. Richard Bandler, one of the founders of Neuro Linguistic Programming, often called the science of success. Rachel’s latest endeavor is at Case Western Reserve University where she is studying Positive Organizational Development. On the creative side, Rachel has been working as an actor for more than twenty years, training in Toronto, Chicago, and Detroit. She is a graduate of the Second City Conservatory and an award winning director. She is a member of the Screen Actors Guild (SAG-Aftra) and has written and performed sketch comedy with a variety of improv troupes in both Canada and the United States. For more about Rachel check out her other website. Andi Maziarz is a well known actor, improviser, writer and teacher. A native Detroiter, she has returned to her hometown after living and working in Los Angeles for the last 10 years. Andi has trained with the best in both LA and Chicago and has completed programs at the renowned Improv Olympic (iO) and Annoyance Theatre. A mainstage cast member of ComedySportz Detroit and original cast member of the Planet Ant Farm Team, she has also graced various stages in LA, Chicago, Grand Rapids and Detroit. Andi is the Director of Development for Planet Ant Theatre, Director of Finance for the Detroit Women of Comedy Festival and is an improv instructor for the Birmingham Public School district. Andi also uses her improv skills in everyday life as an attorney and real estate investor. She is excited to join the faculty and to share the joy of improv with others. Eric Weston, originally from Michigan, has been in Los Angeles for the past 16 years and 3 years in Chicago prior to that. In that time he has co-starred opposite Geena Davis on Commander in Chief and had a recurring role on Days Of Our Lives among other film and T.V credits. 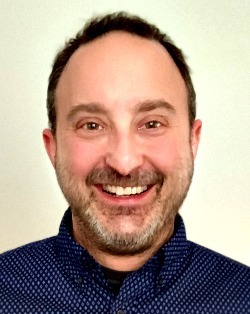 An avid improviser for the past 25 years, he has studied at Detroit Second City, both Improv Olympic Chicago & Los Angeles, and with Patrick Bristow, a former Groundling. He has produced, directed, performed, taught, and even created a new form of improvisation. Eric has been teaching improv in Los Angeles and Metro Detroit in a variety of settings from public and private schools to community drama programs. After earning a BFA in Theatre from the University of Detroit, Mercy, Emily moved to Los Angeles for her MFA in Acting from California State University, Fullerton. It was there that she first designed and facilitated drama classes for summer programs, and began a career as an acting teacher. Teaching acting provides Emily the opportunity to help people to find their own voice, and the skills that she teaches gives them the confidence to use it. Emily instructed voice and movement to adults at a Meisner technique school in L.A., has been a classroom teacher, an after-school instructor, and an educator in non-profits working to infuse programs with elements of creative arts to improve academic performance. As the Director of the Youth For Arts program at Camp Fire USA Orange County, CA, she wrote and produced plays with student actors. As the Director of Literacy at STAR Education, she trained teachers to use storytelling techniques in instruction, and introduced improvisational games as tools for teaching writing and reading skills. She spent 9 years teaching acting for the camera in Los Angeles, where she met the eventual founder of Acting Out New York--now Emily spends parts of each summer as a guest artist facilitating week-long movie camps for kids and teens. Emily has experience on stage and in front of the camera, has studied in St. Petersburg and Moscow and received an Oakland County Press Theatre Awards Best Musical Performance nomination and a Detroit Free Press Best Supporting Actress nomination. 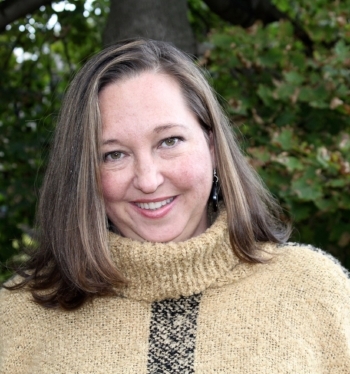 Writer Jill Lorie Hurst is a Detroit native who recently returned to Michigan after 31 years living and working in New York City. She spent almost 20 of those years as a writer and producer for the long running CBS soap opera Guiding Light and has a Writers Guild of America Award (2004) and an Emmy (2007) for her work with the Guiding Light. writing team. She is best known for co-writing the very popular “Otalia” story, which aired during the last 2 years of the show. After the show was cancelled in 2009, Jill worked on a number of independent projects, including 3 seasons of the Emmy winning Venice the Series. She also worked as an editorial assistant to Ricky Lauren (wife of designer Ralph Lauren) and NYT bestselling author and GL colleague Tina Sloan. Her most recent on air credit is a 2016 episode of Law and Order SVU, co-written with GL/Venice colleague Penelope Koechl. Jill lives in Ferndale with her husband Tony, an artist and film maker who she met when she worked at the Guiding Light reception desk, and their dog Lucy and cat Molly. In addition to teaching, she is currently working on developing a soap that is set in the Detroit area as well as a book about her Guiding Light years. Karen Kron Dickson earned her Bachelor of Fine Arts from The University of Detroit in 1994 and has been professionally acting ever since. She is currently a Star camp (advanced acting techniques), Ducky camp (beginning acting techniques) teacher and resident actress with the Marquis Children's Theatre in Northville. She has been with the Marquis since 2009. In addition Karen also works with 4th Wall Theatre Co. (since 2012) as a lead instructor, teaching theatre to children and adults with special needs. Previously she taught with the Mosaic Youth Theatre of Detroit's 1st stage program from 2010 to 2012 and also worked as their Summer Camp Program Coordinator. Karen is thrilled to be joining the MAS team and looks forward to many wonderful adventures in theatre class! Kate Peckham has been a professional theatre artist for more than 23 years and is a member of the Actors Equity Association. She graduated with a BFA in acting from the University of Detroit-Mercy. While a student she performed weekly in the improv group The New and Improv-ed Players alongside Keegan-Michael Key (now of “Key and Peele” fame) and was nominated “Best Actress” by the Detroit Free Press for her role in “The Good Times Are Killing Me” at the much beloved but now defunct Attic Theatre. Kate has worked on most local stages including appearing in the very first production at the Planet Ant Theatre, (“Praying Mantis”),The Williamston Theatre (“Talley’s Folly”, “And the Creek Don’t Rise”)Tipping Point (“Proof” nominated “Best Ensemble” by the Rogue Critic),Meadowbrook (“Steel Magnolias” Winner “Best Supporting Actress”- The Wilde Awards) and the Purple Rose where she appeared in “The Hot L Baltimore” directed by Jeff Daniels. She lived in Los Angeles for five years where she appeared in films (“Almost Famous”), and national commercials as well as in the West Coast premiere of “Beautiful Thing” directed by Joe Bailey of Ferndale’s Ringwald Theatre. She also co- founded the Tasty Face Theatre Company with Larry Joe Campbell (According to Jim) While in L.A. she began her teaching career after apprenticing under Anthony Meindl (owner and founder of Anthony Meindl’s Actors’ Workshop and author of “At Left Brain Turn Right”). After returning to Michigan Kate was the Director of Acting Programs at Mosaic Youth Theatre of Detroit for 6 seasons. There she directed the world premiere of “Sing Jubilee” by award- winning playwright OyamO as well as a critically acclaimed production of “Gospel at Colonus”. Kate is also an award-winning director. She has directed shows at Planet Ant, Tipping Point, Performance Network, Matrix, Detroit Ensemble Theatre and The Theatre Company. She joined the teaching staff at the Michigan Actors Studio in 2010. She enjoys bringing her wide range of experiences, love of the craft of acting and ability to foster a creative environment to actors of all experience levels. She teaches all levels of Acting, on-going Advanced Scene Study and offers private coaching for auditions. Michael Lomas has been involved in the world of Improv both performing and teaching for over 25 years. After training at The Second City Detroit Michael became the Director for Second City’s Improv Camp for Kids. From there he moved on to the Second City Conservatory Program where he was an instructor until the theatre closed down in 2004. Michael has also taught Improv through The Dramatic Arts Studio, Stagecrafters, P.S. Center Stage Players as well as Acting Out Productions. On the performance side he has worked with many troupes in the area including: Some Assembly Required, Void Where Prohibited, The Third Level, Portuguese Rodeo Clown Company, Big Fun Limo, Motor City Improv, The Fourth Wall, Improvishness and M-Squared. He has also appeared as an actor on a number of stages in SE Michigan in classic plays such as You Can’t Take It With You, One Flew Over the Cuckoo’s Nest, I Hate Hamlet and many others. Currently Michael is a Main Stage Performer and Head Coach for ComedySportz Detroit. He is excited to share his love of improv with his students at Michigan Actors Studio. Is an actor, writer, producer and comic and is part of one of North America’s richest comedy traditions, the Second City. As a mainstage cast member of the Second City- Detroit, Rico co-wrote and performed in six revues including “Computer Chips and Salsa,” and “One Nation Undecided.” He also directed the Second City-Detroit touring company. Rico eventually completed his Second City resume by becoming producer of the Detroit venue. The revues he produced include the critically acclaimed revue “Greetings from Viagra Falls,” and Second City-Detroit’s first workshop production, “Blah Blah Sista’ Hood.” He was also co-producer of the television series “Film Fest 7 with the Second City.” Rico has designed and facilitated workshops in improvisation for over twenty years. Sean is a working actor, playwright, and improviser who has been performing for over twenty years. As an actor, he has performed on stages from Southern California to Southern Michigan at such theaters as Water Works Theatre, The JET, Planet Ant, and Open Book Theatre. He has been seen on many local, regional, and national commercials, including spots for The Red Roof Inn, the state of Michigan’s Click It or Ticket campaign, and Buckeye Communications. Sean got his start studying with the Groundlings in Los Angeles and he is proud to be an original member of ComedySportz Detroit. He is also an award winning playwright who has had plays produced in New York, Chicago and Detroit. Locally his plays have been produced by Magenta Giraffe Theatre, Planet Ant, Assembly Line Theatre Company and Two Muses Theatre as well as numerous community theatres.